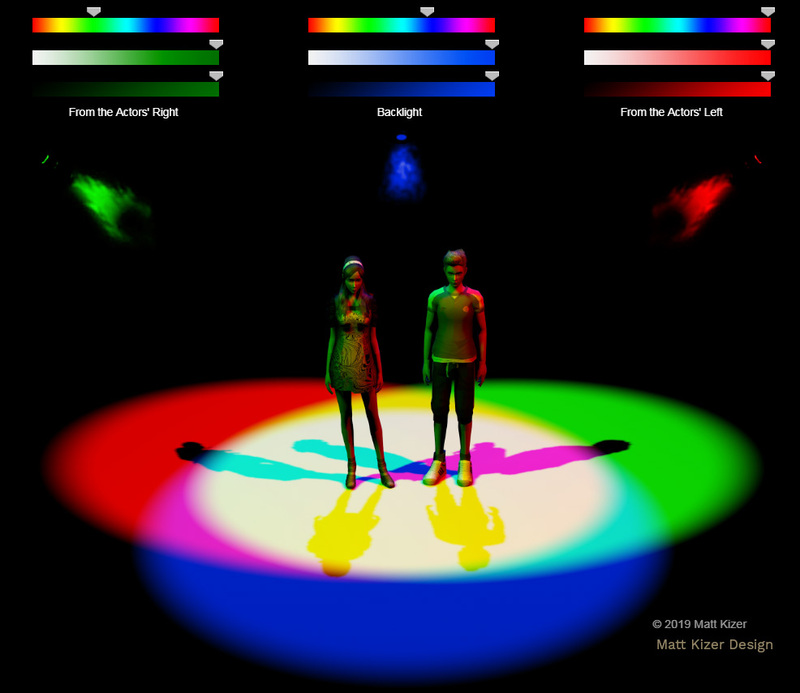 A browser-based light lab for demonstrating color and color mixing using light. 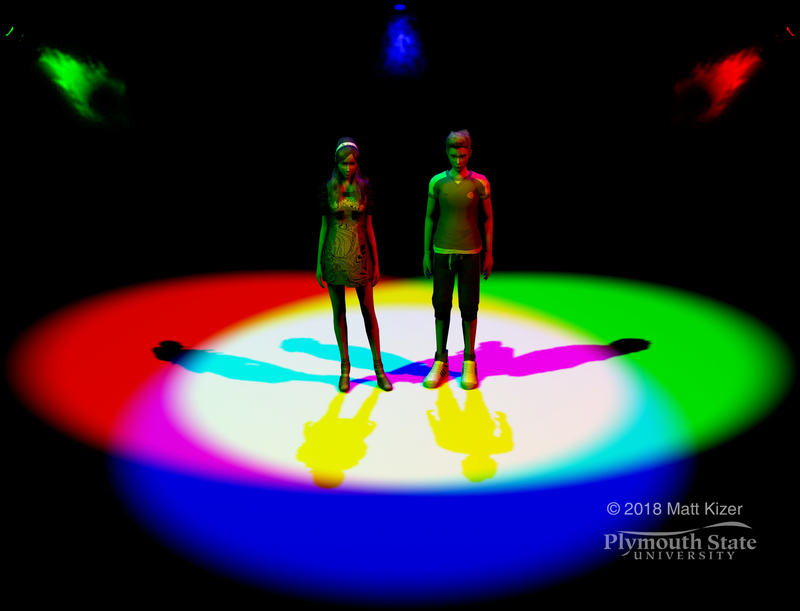 Two actors stand at the intersection of three pools of light. Brightness, color, and saturation controls. Easy to use online.